You’ll find that some Charms just say ‘Country Music’ while others will say ‘I Love Country Music (with a heart symbol)’. If someone you love has a charm bracelet and that someone loves country music, then this particular charm makes a very thoughtful addition. If you’re looking for something to share with a daughter or grand daughter that symbolically displays memories, then a charm bracelet is a wonderful idea. From the time I was a young girl to when I reached my 20’s, both my mother and I had a charm bracelet (you can see mine in the photo below). Each charm that was given to either of us by family or friends represented something in our lives. My mother has since given me her charm bracelet to keep and pass down. Every single time I look at and touch a charm on my own bracelet I remember who gave it me and what it symbolized. There are many more charms on both my mother’s and my bracelet, but you get the picture! Choose charms that have meaning to the person you’re buying for. There is nothing more wonderful than looking at a piece of jewelry that stirs up a memory. Does the Person You’re Buying the Charm for Love Country Music? Seems like an obvious question doesn’t it. However, sometimes gifts are purchased representing something we love, rather than for the person we’re buying. I like to think this doesn’t happen very often, but it does. If your special someone loves country music, add this charm to their collection; maybe put it on a chain for a necklace, or start a charm bracelet for them. Even if a charm bracelet isn’t something they’re familiar with, introduce them to the idea; they’ll really appreciate their collection of charms as the years go by; I know I do. Remember to gift these to family members or friends in your Will – or at least verbally tell them if that’s appropriate. I’ve already let my youngest son know that these are his to keep and hand down to his children. Awesome charms! 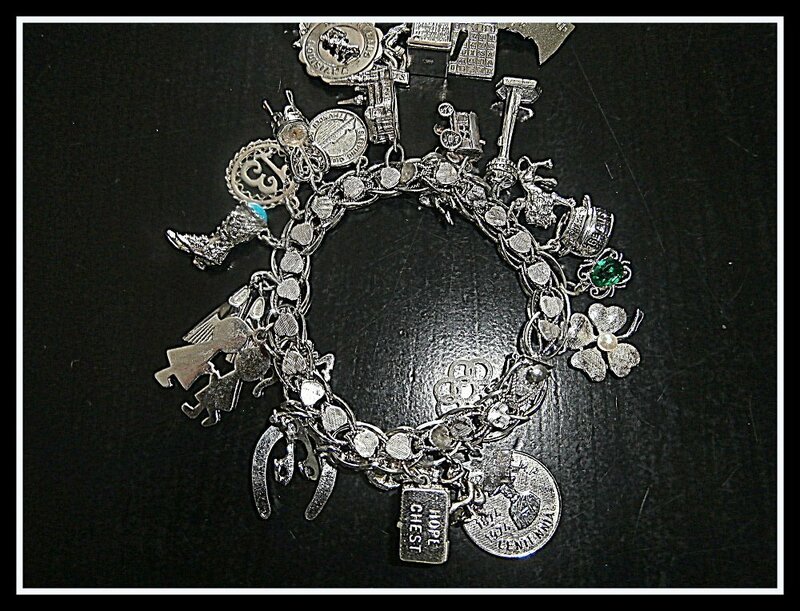 I love the idea of having a charm bracelet. The last charm bracelet I had was when I was a little girl. Sure wish I had one for fun charms now. A great idea. These are great charms. Country music lovers will certainly have a hard time choosing which ones to add to their own charm bracelets! Susan, thanks, I wouldn’t mind someone in my family getting me one of these to add to my bracelet, lol! even if it no longer fits! My mother had a charm bracelet and now I’m not sure what happened to it. I think it went to my brother’s daughter. I’ll have to ask. I do remember how much she loved it and what fun it was to choose a new charm for her that represented something special to her.